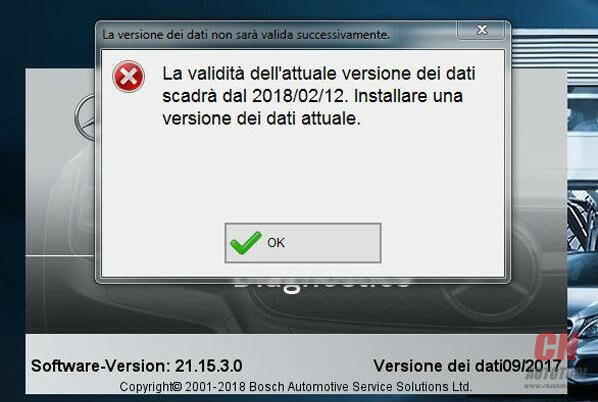 La validata dell’attuale versione dei dati scadra dal 2018/02/21. 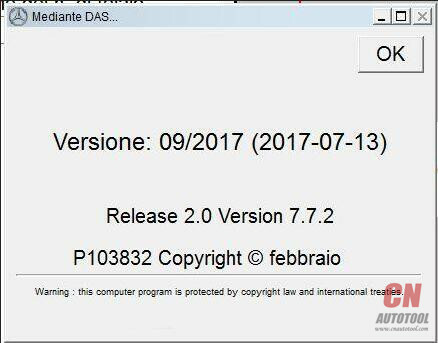 installare una versione dei dati attuale. 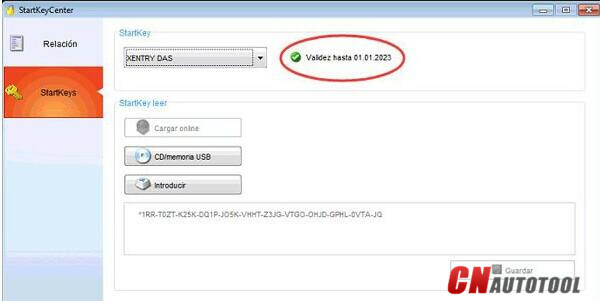 The validated current version of the data will range from 2018/02/21. 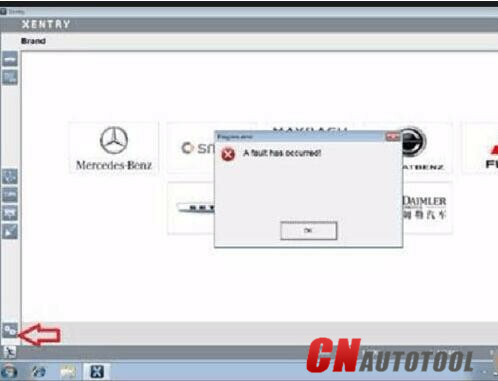 install a current version of the data. 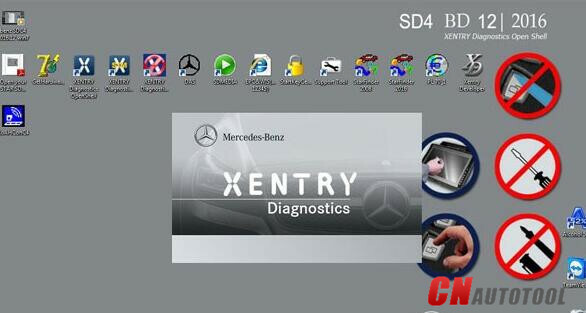 Here are the most frequently-asked questions from Mb Star C4 diagnostic scanner users and professional answers from engineers working for CnAutotool.com. 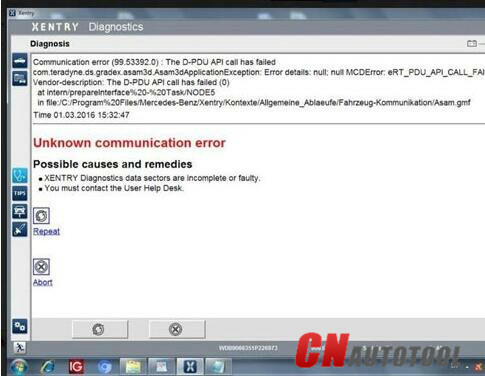 Hopefully, it helps those in trouble. 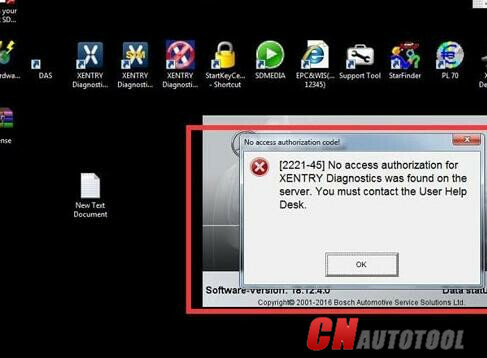 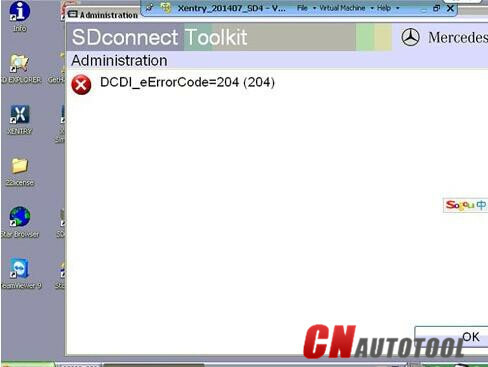 Q: Mercedes Scan Tool MB SD connect c4 firmware files are lost and WIFI cannot be set up.A: It means your sd connect firmware files are deleted and you need update sd c4 firmware. 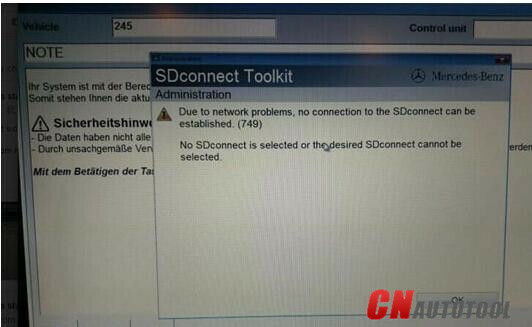 Mb Star Connect C4 can only be used by wire connection for the WLAN cannot work normally and there is no WLAN option on MB SD C4 device. 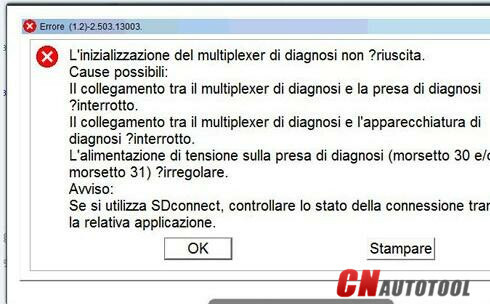 Other causes make SD C4 mux cannot work normally. 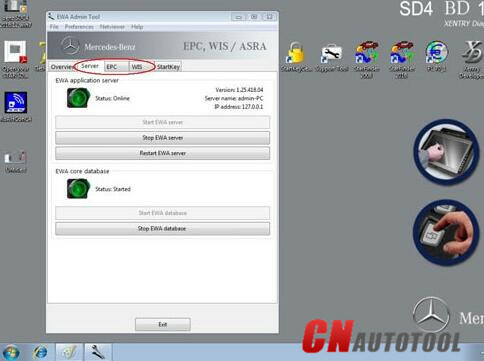 Please prepare 6 AA5 batteries according to Step-by-Step Instruction for how to install MB SD C4 Batteries. 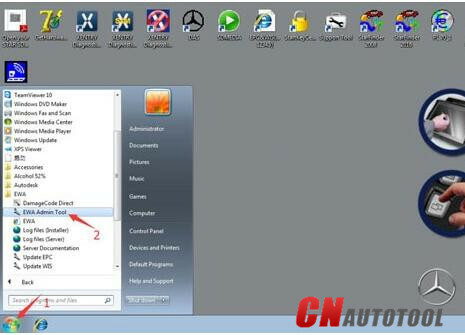 Open the software “2012.09 DAS”. 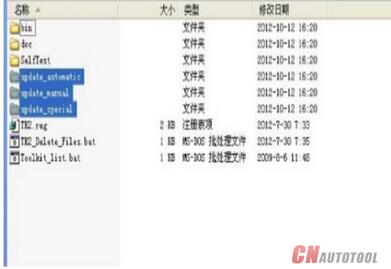 For update, the three files above need to be upgraded. 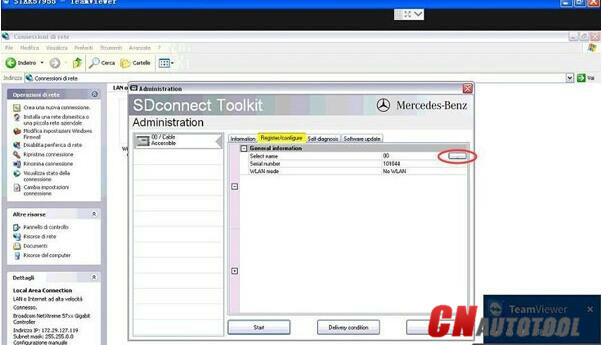 WLAN option shows on MB STAR Diagnostic Tool MB SD C4 multiplexer. 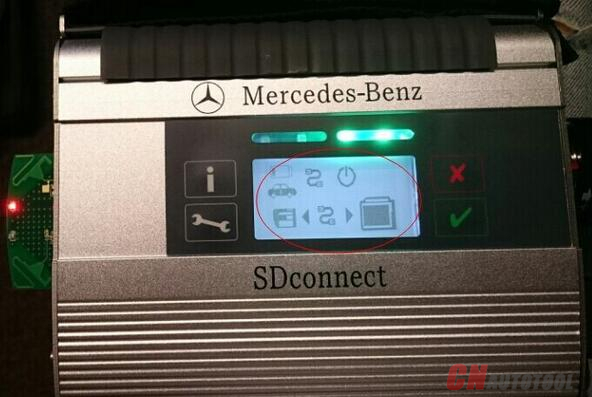 SD C4 can be connected via wire or WIFI. 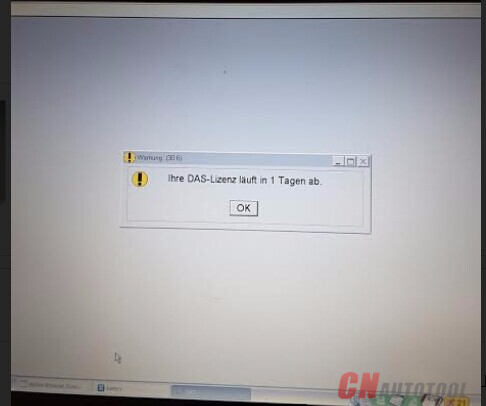 “ihre DAS-Lizenz lauft in 1 Tagen ab” (Their DAS license expires in 1 day.). 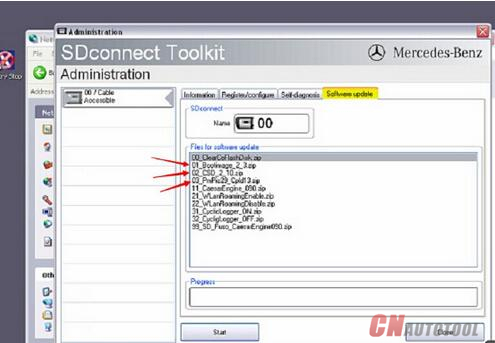 If you bought your mb star hard drive/solid drive from CnAutotool.com, please open STAR Utilities program on desktop, copy and paste DAS ID to our technician. 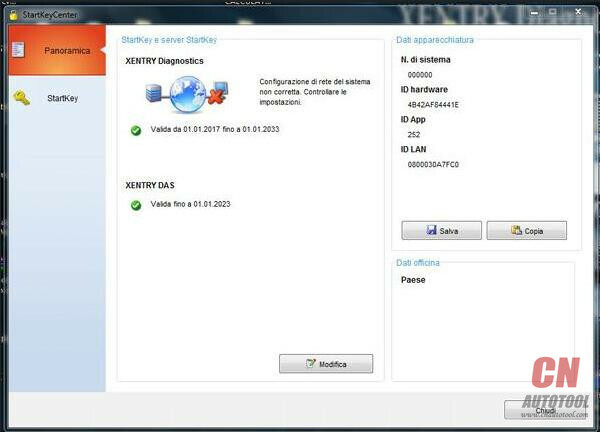 We’ll activate the DAS Xentry software for you. 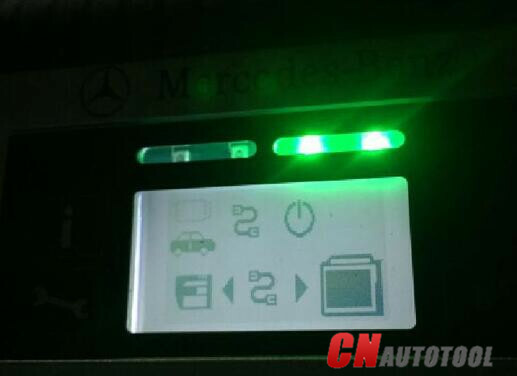 New generation MB STAR C5 with Mb Star Connect C4 PCB board inside with multi-langauge support Benz vehicles after year 2000. 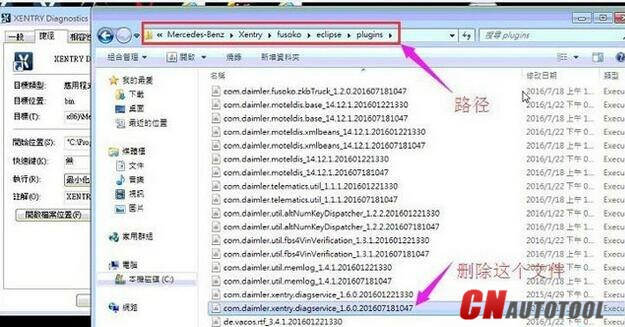 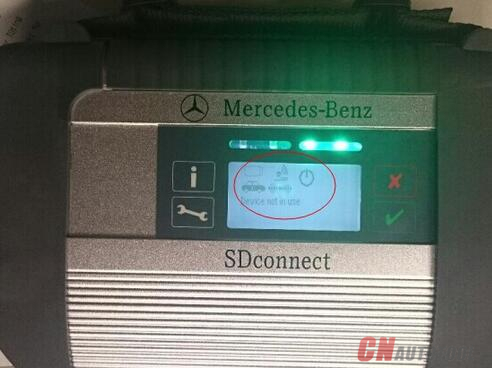 Mercedes Benz SD C5 Star Diagnosis support wireless function for Benz cars and trucks. 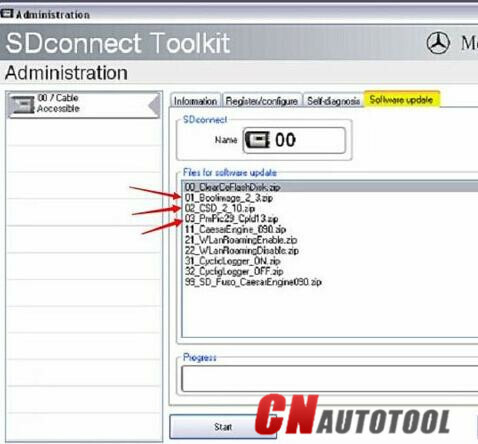 Newest MB SD connect compact 5 support offline and online programming, If you want to do online, eobdtool.com supply Online SCN Coding Service. 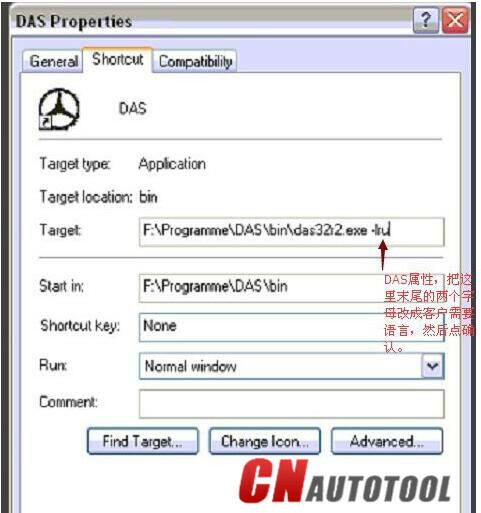 Mercedes benz C5 original tools do offer an incremental advancement on the c4 but the china clone does not. 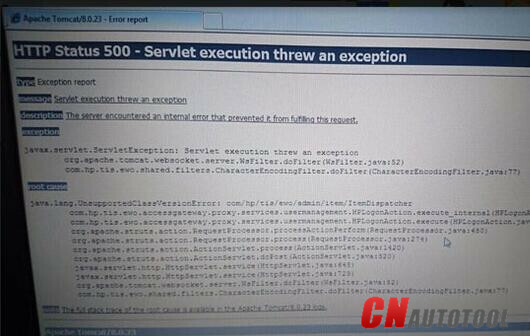 our conclusion is to stay away from it until there is a clone of the actual C5.